You can easily import players or staff from a CSV file. 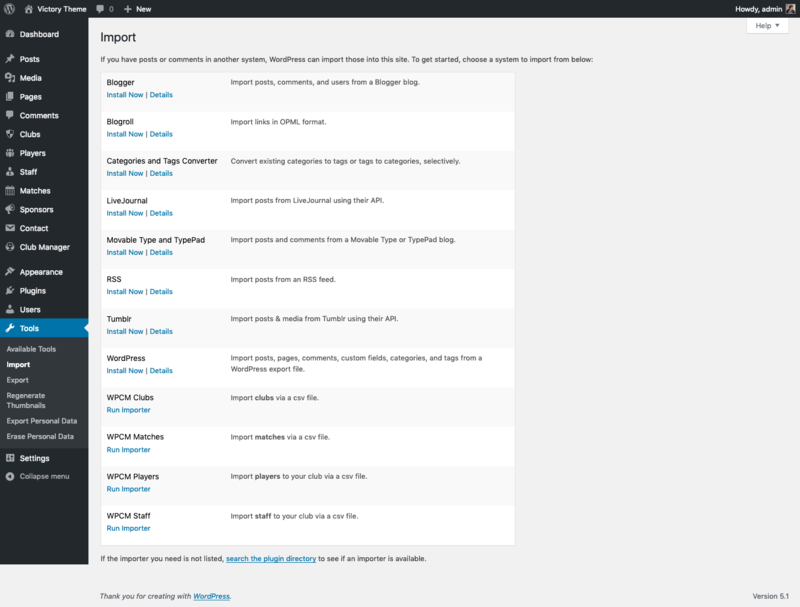 To access the plugins import features go to Tools > Import in your admin dashboard and click on Run Importer under the WPCM Players or WPCM Staff option. You can upload your CSV file from the next page. It is essential that your CSV file is the same format as the example files provided for the import to be successful. After uploading your CSV file you will have the opportunity to review and edit any columns before importing data to the database.